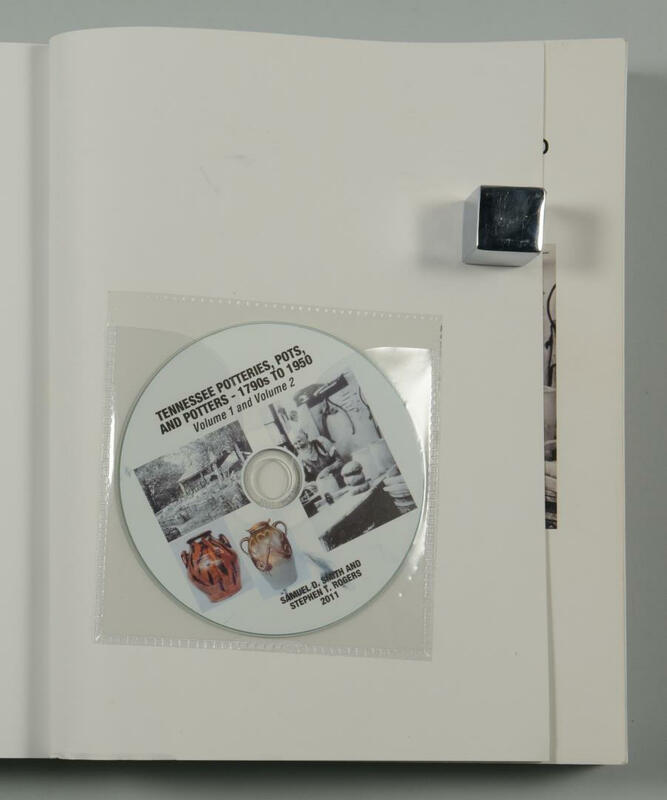 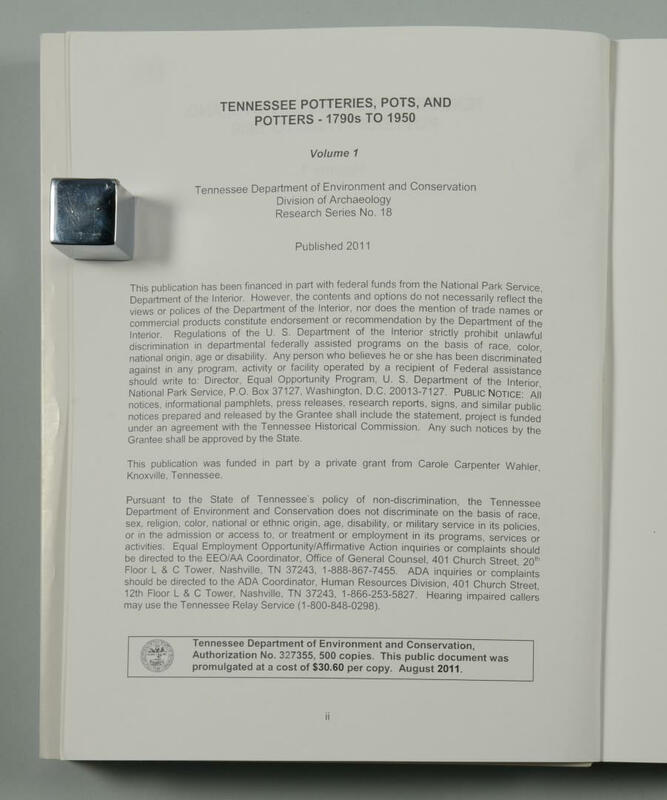 Two (2) volumes of the book "Tennessee Potteries, Pots, and Potters ñ 1790s to 1950", by Samuel D. Smith and Stephen Rogers. 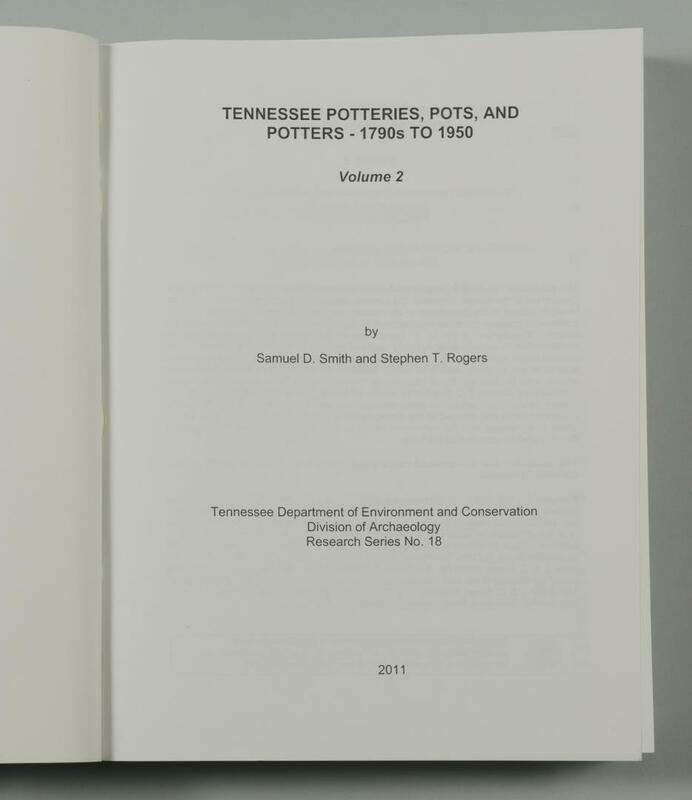 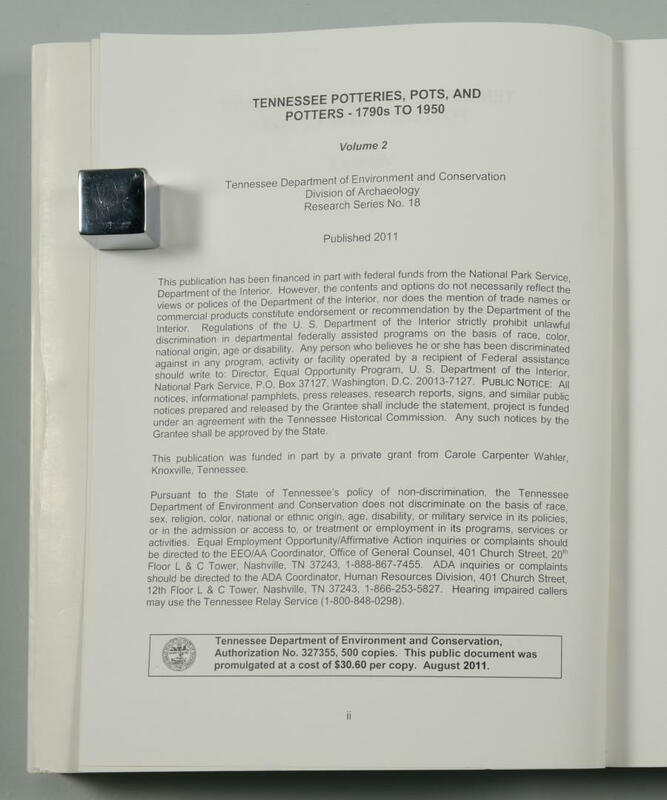 Published in 2011 by Tennessee Department of Environment and Conservation Division of Archaeology. 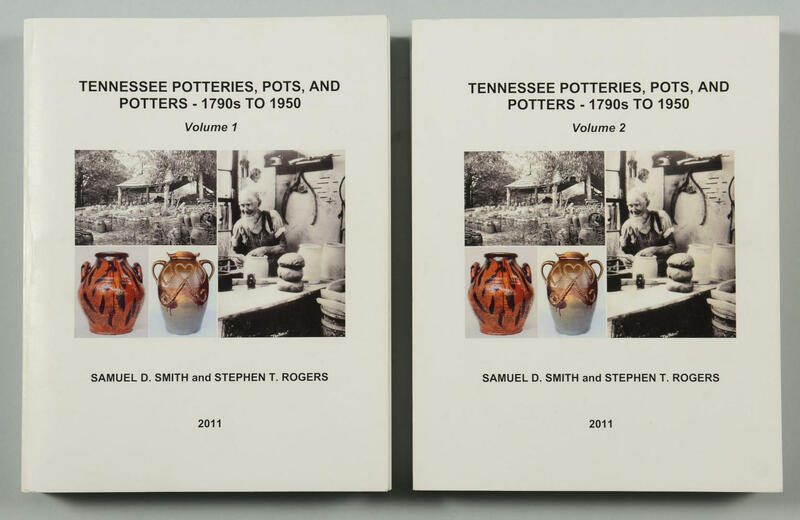 This two volume set with over 1,000 pages was the result of 35 years of work on the subject by Smith and Rogers. 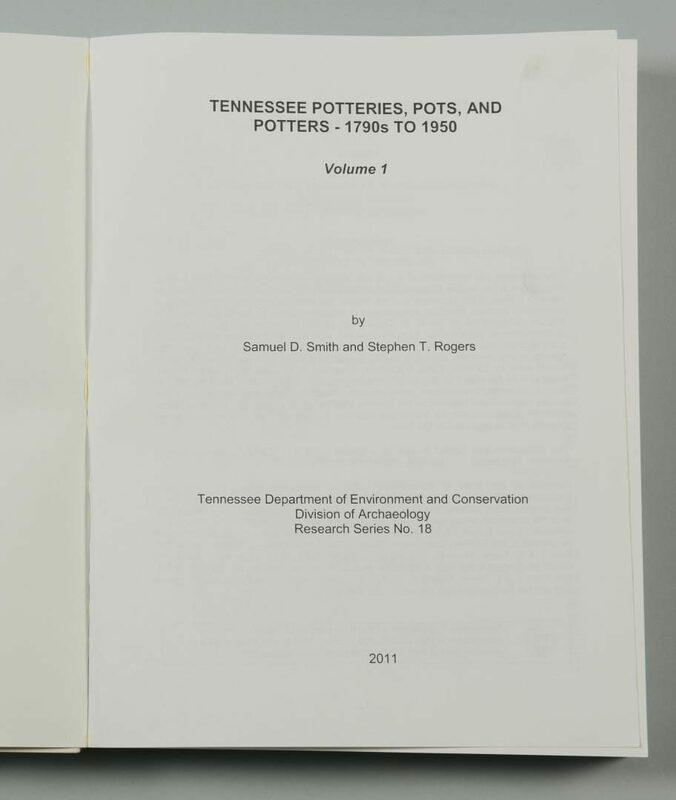 Limited number published. 10 7/8" H x 8 3/8" W x 1 1/4" D. CONDITION: Both overall good condition, Volume I back cover with some moderate wear.